Horseshoe Brand regularly exhibits at some of the finest food festivals, fairs and farmers markets throughout the Northeast. Come meet the team and get your sauce fix! 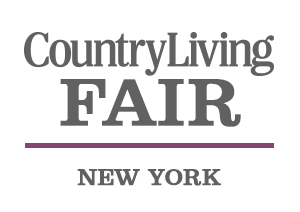 Join us at the Country Living Fair in Rhinebeck, New York, May 31 and June 1-2, 2019, rain or shine! Take your tastebuds on an unforgettable journey as you are introduced to 120 of NY’s best wineries and artisan food vendors. For six days each August, the bucolic fairgrounds on Route 9 in Rhinebeck plays host to nearly half a million patrons. Join garlic-lovers from New England as they come to sample food and crafts from hundreds of vendors, all made from garlic and herbs. The New York State Sheep and Wool Festival is one of the largest annual gatherings of fiber-arts enthusiasts in the United States. The latest news and information on Horseshoe Brand, our products, our retail partners and more. I consider myself something of a heat seeker. I’ll put hot sauce on just about anything. But while I can handle a hot, hot sauce, what I truly love are those that focus first on the complex, deep and fruity flavors of hot peppers and how they are enhanced by other quality ingredients. These days my favorite sauces come from Horseshoe Brand right here in Milan, New York. Now a national, and even an international brand (and available in most markets around the region), Horseshoe was started in the kitchen of former Dutchess County Sheriff's Deputy Ken Millet. Millet’s childhood friend and now business partner Ryan Fleischhauer said Millet was always that guy who would just nonchalantly cook something amazing for any party. Millet started making hot sauce as a hobby to share with his friends and family. In 2008 he began bottling small batches and selling them at events. I love these hot sauces! The kiwi jalapeno is my favorite — it's not as sweet as it sounds and tastes good on truly everything. Get it from Horseshoe Brand for $6.99 (available in nine hot sauces and two barbecue sauces). Horseshoe Brand featured in Germany's Essen & Trinken Fine Food Magazine! In the current issue 9/2018, the Hamburg editorial team from essen & Trinken recommends our hot Horseshoe brand sauces from New York. The Hudson Valley produces a whole range of sauces from fruity to smoky. We are pleased about the report and thank you! Hot sauce and BBQ sauce with the volume turned (way) up. Try any one of these recipes featuring Horseshoe Brand sauces. Kiwi Jalapeno Hot Sauce Wins the Screaming Mi Mi Award for Best Jalapeno Sauce! A panel of judges from all walks of the professional food industry weigh in on sauces submitted to various categories, like best fruit base sauce and best jalapeno sauce. Horseshoe Brand Kiwi Jalapeno takes 1st place for best jalapeno sauce! These small-batch hot sauces, lovingly made by hand, are as good as it gets. They deliver not just heat, but flavor that comes from whole chiles (as opposed to capsaicin extract) and top-quality produce. The flavor lineup includes Cajun, Chipotle, Habanero, Kiwi Jalapeño, Mango Fatali, Maple Cayenne, Roasted Garlic and XXXtra Hot. They’re $5.99 each; a mix-and-match six-pack is $29.95. At its most basic, hot sauce makes food spicy. But at the height of its powers, this sort of seasoning can bring dishes to life and reveal new dimensions of flavor. Our favorite proof: Horseshoe Brand hot sauce, made in Rhinebeck, N.Y., by hobbyist-cook deputy sheriff turned hot-sauce entrepreneur Ken Millett. The unexpected “it” factor in Horseshoe’s most revelatory flavors is fruit, often in surprising combinations. The mango-and-fatali-pepper sauce, vinegar-bright with a blooming heat, has a touch of tamarind tang to offset the mango’s richness. In the fiery habañero sauce, meanwhile, a little mango brings out the natural fruitiness of the chili. Kiwi-jalapeño, Horseshoe’s best-selling answer to Mexican-style salsa verde, swaps out the traditional tart tomatillos for sweeter kiwis. Stir the sauce into mashed avocados for an instant, beautifully balanced guacamole. If you’re a real hot sauce aficionado, you know the best bottles aren’t sold in the big-box stores. We picked five locally made sauces that range from sweet-and-smoky to tear-inducing heat, so no matter your preference, there’s something here that’ll bring out your inner fire-loving foodie fiend. Horseshoe Brand Collaborates With Crown Maple On New Maple Cayenne Hot Sauce! The Horseshoe Brand Maple Cayenne hot sauce is made with hot red cayenne pepper and rich, smoky chipotle for a classic, fire-y flavor. However, the addition of organically crafted Crown Maple syrup and sugar add a new and dynamic layer to the sauce, creating an entrancing hot sauce with the welcoming flavors and sweetness of maple coupled with a substantial, long-lasting level of heat. A crowning touch for all types of foods, the Horseshoe Brand Maple Cayenne hot sauce pairs particularly well with pork and seafood, as well as classic dishes such as chicken and waffles, or even just a simple cracker. Horseshoe Brand makes Oprah’s “O" List!! Now Serving Tops Friendly Markets Throughout New York’s Hudson Valley! We are excited to announce a new partnership with Tops Friendly Markets. You can now find our hot sauces throughout several Tops Friendly Markets in New York’s Hudson Valley. For a location near you, please visit our store locator or visit the Tops Friendly Markets’ store locator by following the link below. Horseshoe Brand is Now Serving Most Stop and Shop Supermarkets Throughout New York State!!! We are pleased to announce our new partnership with Stop and Shop Supermarkets. You can now purchase our hot sauces at most of the Stop and Shop Supermarkets throughout New York state. Check out the Stop and Shop Store Locator for a store near you! Now Serving Price Chopper and Market 32 Supermarkets Everywhere! We are pleased to announce our new partnership with Price Chopper and Market 32 Supermarkets. You can now purchase our hot sauces at all of the Price Chopper and Market 32 Supermarkets. Check out the Price Chopper Store Locator for a store near you! Horseshoe Brand featured in Men’s Fitness Magazine's list of the "7 Healthiest Hot Sauces That Will Instantly Fire Up Your Food"
Horseshoe Brand's Kiwi Jalapeño Hot Sauce was featured in Men’s Fitness Magazine's list of the "7 Healthiest Hot Sauces That Will Instantly Fire Up Your Food". Men's Fitness noted: "As small-batch brands seek out the purest, rarest, most nutrition-packed peppers on earth, this fiery stuff has become one of the best superfoods you can put on your plate."